This easy chicken and vegetables recipe cooked in parchment is a weeknight miracle, healthy, one-dish meal with no dishes to wash. 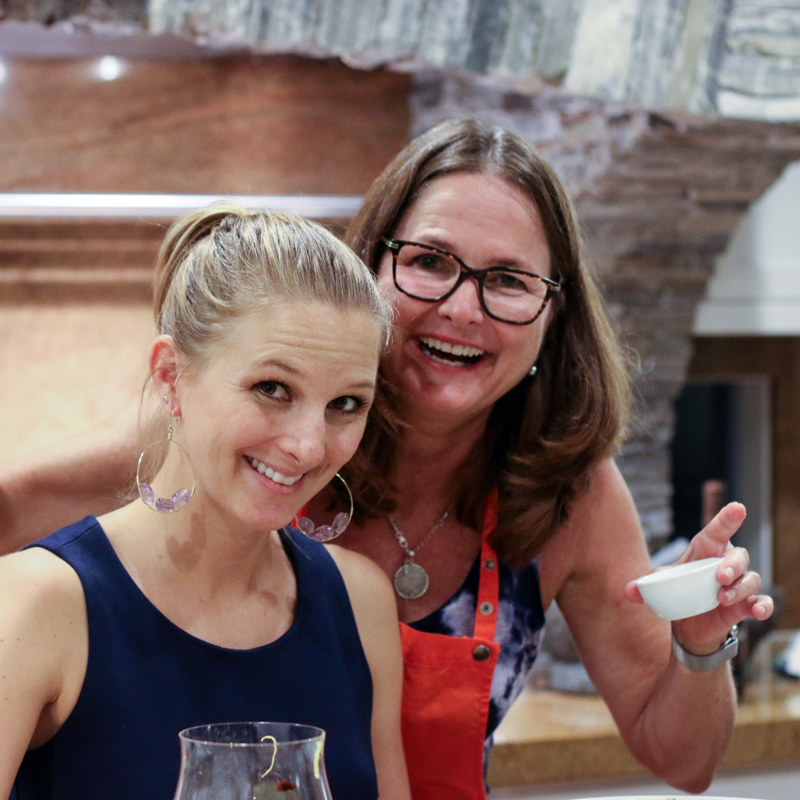 Learn how to cook en papillote and you will always have a quick, healthy meal up your sleeve. An easy weeknight fish that is good enough for entertaining and requires only 30 minutes of prep time. 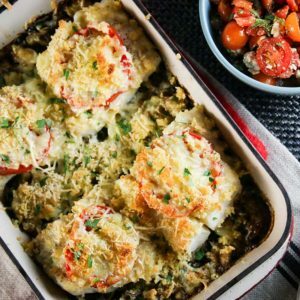 This fish gratin is built with layers of vegetable and panko-coated fish, then topped with a sprinkling of cheese that binds it all together. Bamboo steaming is the trifecta of fish preparations. 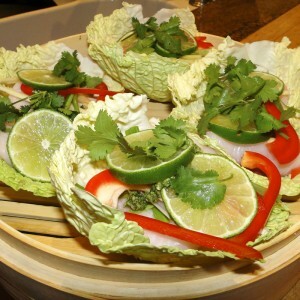 It is incredibly easy, delicious and healthy. What's more, there is almost nothing to clean up. So is that a quadfecta? 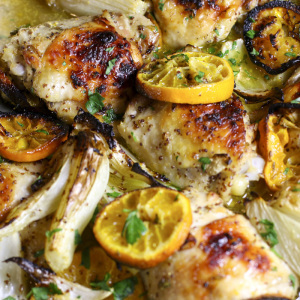 This roasted chicken with clementines and ouzo will fill your kitchen with fabulous aromas. 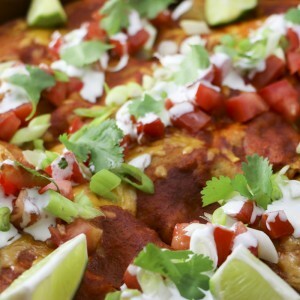 Simple to prepare, delicious, this dish can be prepared ahead of time and is great for a large crowd. 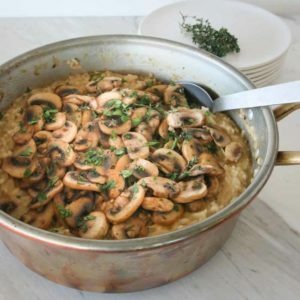 This delicious and creamy risotto pairs very well with Roast Chicken with Pixies and Ouzo. The combination make for a great entertaining meal. 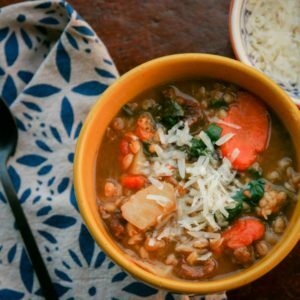 Checkout the recipe headnotes to see how leftover risotto can be used to a create a couple different delicious meals. Grilled octopus is surprisingly simple to make. The key is tenderizing the cephalopod before you grill it. This recipe provides two methods: sous vide and braising. Whole roasted cauliflower is dramatic and delicious. This recipe incorporates a secret technique that keeps the outside from burning. I also offer two ways to slow cook the cauliflower -- oven roasting and sous vide. You decide which you like best!